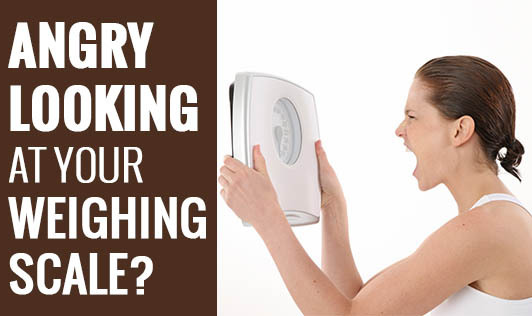 Angry Looking at Your Weighing Scale?! Healthy foods such as nuts, dried fruits, avocados, olive oils etc are not calorie free! These foods might rich in nutrients, but remember they are calorie dense too. 1 teaspoon of olive oil gives you 45 calories which is similar to regular cooking oil. Skipping breakfast makes your body feel starved from its source of energy and provokes it to store existing energy in the form of fat for later use. But the when you eat breakfast, it kick starts your metabolism and in turn helps you lose weight. Prevent your body from storing fat by eating your breakfast! Standing and eating is a very unhealthy practice. It is important for your body to be relaxed when you are eating. Take specific time out for your meal to sit and enjoy it. Sound sleep for 6-7 hours every day is important for a healthy body and mind. Sleep restores energy and keeps you fresh, active and alert throughout the day. Did you know that cutting down on sleep can affect your body's ability to control your appetite. Low fat and low calorie foods available in the market can be deceiving. They are loaded with chemical replacements that make up for the missing ingredients that can affect your health. These lighter versions are low in nutrition and with the tag ‘low calorie' you may end up eating more! Four to six servings of fruits and vegetables every day is required for everyone in general for healthy functioning of the body. But for those on weight loss, more vegetables is also beneficial as it helps they stay full for a longer time. If you are doing any of these mistakes, talk to your dietitian to figure out the right way to lose weight.